Chicago Carter Harrison Technical High School "Hornets"
Chicago (population 2.8 million) is in northeastern Illinois in eastern Cook County. Lake Michigan, along with the Chicago and Des Plaines Rivers are the main waterways in the city. Interstates 55, 57, 90, & 94 will all lead you to the "Windy City." From what started as a small village in the early 1800’s along the banks of Lake Michigan, Chicago has grown to the nation's third largest city and one of the most famous places in the world. 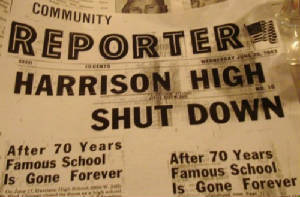 'Harrison Tech opened in 1912, and closed (as a high school) in 1983. The mascot name was "The Hornets," and the school colors were blue and gray. In 1965, the football team (on which I was the starting center) finished 9-1, losing only to Lane Tech for the Public School city championship. Among our famous graduates were Benny Goodman (1922), Irv Kupcinet (1931), and Stuart Brent. My football coach, William Harden, attained a PhD in education, and became director of all physical education programs for Chicago Public Schools, from 1985-1996. The former high school building is now utilized as Maria Saucedo Magnet Elementary School." More information has been found about the school's opening date. It actually opened as Farragut High School in 1910 in honor of the former US Admiral, David Farragut, who led Union ships to victory during the Civil War at New Orleans and Mobile Bay. The name changed to Harrison in 1912 to honor the former mayor of Chicago who was slain in 1893 at the end of the World's Columbian Exposition. "I was the principal of Harrison High from 1976 to 1983 when I was charged with the sad duty of closing Harrison as a high school. Very difficult times! I can tell you that the football coach in the early 1980's was Herb Bias, who also a machine shop teacher." Harrison HS team nickname: the "Hornets"
Le Baron J. Lee, Sr."
Chicago Harrison High School had some great success stories in IHSA athletics (www.ihsa.org). 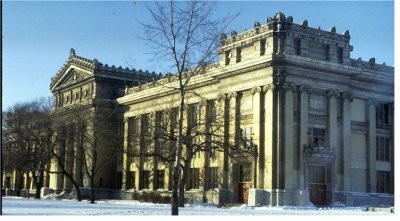 The school was a member of the Cook County League from 1910-13, but did not win any titles before being a charter member of the Chicago Public League (aka Public League) and taking several championships. These will be documented below. We are searching for any information regarding Harrison High School athletics. Records, coach's names, and school fight song are all items that we would like to share on this page. The diamond men of 1959 had a magical run in the state playoffs. Under the leadership of Coach Al Charnes, the team would finish in second place, losing the title game to Maine Township HS! 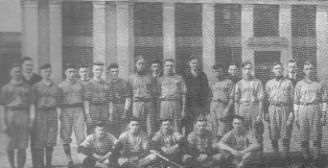 Prior to that, the 1934 team won the Pulbic League title. *Jerry Arrigo (Class of 1959) - Pitcher who pitched for Harrison High School in 1959..he later played for the Cincinnati Reds. *Richie Jurkowski & Bob Pactwa (Class of 1956) - named to the Chicago High School All-Stars and played at Comiskey Park between Sox / Yankee double header games. The Harrison HS hardwood-court warriors brought home a third place trophy from the IHSA playoffs in the 1930-31 season. The school may also have been the largest school in the state with 5500 students, possibly one of the largest in the nation! The harriers were one of Illinois' top high school teams in 1946. This team finished fourth overall at the IHSA State Cross Country Meet. One of the great Chicago high school football teams of all time may have been the Harrison HS boys of 1931. The grid-iron warriors finished the season undefeated with 12 wins. Several Harrison High School boys also went on to play in professional football. Defeated Miami High School 18-7 Christmas Day at the Orange Bowl stadium in Miami. "My grandfather, Julio Biagi, graduated from Harrison in 1936. He was captain of the Harrison football team for his Junior and Senior years and he played alongside Andy Puplis, who went on to play at Notre Dame. My grandfather received a scholarship to play football at DePaul but their football program was terminated in 1938. Two of my other grandparents graduated from Harrison around the same time as did a number of great-aunts/uncles." The 1931 Harrison team, coached by Bob Daugherty, included two backfield stars, Andy Pilney and Andy Puplis, that went on to receive All-America mention at Notre Dame. Harrison went 12-0-0, including a 46-6 win over Mount Carmel for the Chicago city championship, along with a post-season 18-7 win over Miami (Fla.) High at the Orange Bowl on Christmas. In 1942, Fred Carman of Marshall returned a kickoff 100 yards vs. Harrison. --Walt Cudzik (played collegiate ball at Purdue, then professionally with the Washington Redskins (1954), New York Giants, Boston Patriots (1960-63), and Buffalo Bills (1964)). Cudzik started at center from 1960-63 for the Patriots as they won a division title and played in the AFL championship game in 1963, then after trades to Denver and Buffalo, he was the center of the 1964 AFL champs. He later scouted for the Miami Dolphins and was a trial lawyer. The Harrison boys won the state championship in 1973, defeating Morton East in the title game. 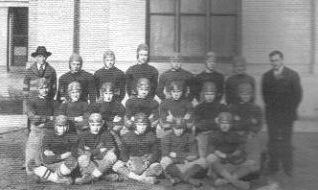 Prior to then, the school won three league titles and tied for another during the 1920's and 1930's. 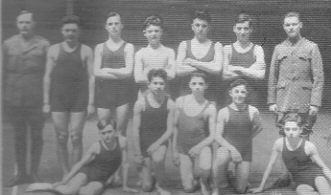 The swimming program at CHS also had some nice success stories., starting with a city championship for the junior swimming program in the winter of 1918-19. At the state meets, two top-ten team finishes and several individual medalists were the highlights. One individual, John Moskiewicz, brought home two gold medals in fact! One pair of tennis greats faired well for Chicago Harrison. Their accomplishment is listed below. 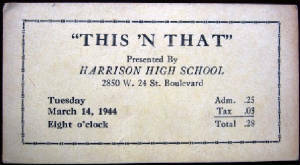 In 1926, Harrison defeated Tilden in the first known interscholastic wrestling meet in Illinois. The Public League also held competition in this sport beginning that season as the Hornets won the first team title as well as the second. A top-ten team finish and some individual medalist were the highs of this sport. Theodore "Ty" Wachowski won the State Championship in the high jump in 1925! Deborah Moses became Harrison's most decorated track athlete in 1974. Deborah took state championship medals in the 50 yard dash and 80 yard hurdles to lead the lady tracksters to a fourth place overall finish that year at the IHSA State Meet. 1974 STATE FINAL STANDINGS---TIED FOR 4TH PLACE!!! "I attended and graduated Harrison High School from 1971 to 1974. Great memories! I noticed that among all the athletic accomplishments listed in the site - Bowling was not included. We won the Public Schools bowling championship in 1974. I was a senior and Capitan of the bowling team. I am pretty sure we defeated Crane for the championship. I don't remember our coach's name, but I know that he also taught wood shop. Very nice teacher." Juan Bustamante (Class of 1974) also recalls the that the R.O.T.C. Drill Team won a few championships for their expertise as well. "During my time at Harrison, we had Concert and Marching Bands, Orchestra, Ensembles and Choruses. My love of music began at Harrison High. 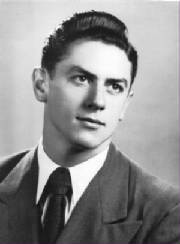 The Orchestra director was Mr. Berg, a gentle man who tried to bring the musical performances out of very rough stock. It worked for me. It was the beginning of my love affair with great music." --Benny Goodman— Goodman never graduated from Harrison, but became the King of Swing during the Big Band Era and one of the most notable figures in jazz history. --Irv Kupcinet — he wrote for the Harrison school newspaper in the 1920s, and eventually became one of the best known newspaper figures in Chicago with his daily gossip column that appeared for many decades in the Chicago Sun-Times. Also was a football commentator on Chicago Bears broadcasts with Jack Brickhouse from 1953-76. --Arthur Goldberg — Supreme Court justice. --Barbara Ann Ferrell—officially attended Farragut High School however the graduation exercises were held at Harrison HS - track and field star who participated in the Olympic Games of 1968. --Irwin Kostal--named a "Disney Legend," won an Emmy Award for his work on the movies "The Sound of Music." He also worked on such great movies as "Mary Poppins" and "West Side Story." http://www.imdb.com/name/nm0467348/bio?ref_=nm_ov_bio_sm. Thank you to 1938 Harrison graduate Marge Pigliwski for providing this information! I thought I read that Harrison H.S. opened in 1887. I believe the land came from my family. I believe my g-g-grandfather owned a chicken farm there. I am fourth generation to attend Pickard Elementary and my great-grandmother walked from 24th & California to go to that elementary school.